Ken Sachs has extensive experience advising clients regarding their employee benefit plans, executive benefit programs and business planning. He also represents public and private entities concerning their corporate, fiduciary and governance responsibilities. He designs, drafts and establishes retirement plans, welfare plans, medical plans (insured and self-funded), fringe benefits (such as cafeteria plans, flexible spending accounts, health savings accounts, dependent care assistance programs, disability policies, adoption assistance and education-related plans) and various other programs provided to employees. He is an expert as to the administration of such plans, including the correction of administrative errors. Ken works with defined contribution plans, 401(k) plans, pension plans, cash balance plans, 457(b) and 457(f) plans, 403(b) plans and various other retirement benefits. In addition to drafting plan documents, summary plan descriptions and participant communications, Ken actively assists clients with audits, non-discrimination testing and the proper administration and funding of such plans. 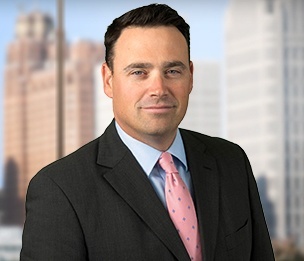 Ken also advises clients as to the design and implementation of incentive compensation programs, such as stock options, restricted stock, phantom equity and other compensatory arrangements. This includes working with all types of employers, including governmental and tax-exempt entities. Ken is a leading expert on Code Section 409A. As to welfare plans, Ken drafts plan documents, summary plan descriptions, notices of privacy practices, business associate agreements, summaries of benefits and coverage, participant communications and employer manuals and protocols necessary to ensure legal compliance, including the HIPAA Privacy and Security Regulations. He frequently leads HIPAA training sessions for his clients. Additionally, he has extensive experience with FMLA, COBRA, Health Care Reform and other employment-related laws and regulations. Ken has significant experience counseling clients (sellers and buyers) as to the employee benefit implications of mergers and acquisitions, including the legal, financial and practical risks and planning opportunities. His legal practice also includes drafting and negotiating insurance and third party vendor contracts, including non-disclosure and data privacy agreements. To ensure proper compliance with federal and state laws and regulations, Ken helps clients “self-audit” their benefit programs and designs compliance manuals, training programs, internal procedures and fiduciary seminars. He handles matters involving the Internal Revenue Service, Department of Labor and Pension Benefit Guaranty Corporation, and actively consults with clients as to multiple employer plans, multi-employer pension plans (including withdrawal liability under the Multiemployer Pension Plan Amendments Act), multiple employer welfare arrangements, retiree health plans and funding arrangements, including VEBAs and Internal Revenue Code Section 115 trusts. Retiree Health Benefit Litigation: Succeeded in vacating an injunction that prohibited a municipality from implementing changes to retiree health benefits that resulted in cost savings of $5 million. City of Detroit Chapter 9 Bankruptcy Restructuring: Served as local counsel to the City of Detroit in connection with its Chapter 9 bankruptcy case filed in July 2013 and its ongoing restructuring efforts. Since exit in December 2014, Kenneth continued to assist in representation of the City in connection with many aspects of its Plan of Adjustment implementation, appeals of Plan confirmation, stand up of the Great Lakes Water Authority and a variety of financings. Kenneth has drafted numerous creative retirement plans that have consistently exceeded his clients' expectations regarding their ability to save money on a tax-deferred basis.